Newcastle is where the valley ends, and the foothills begin. The rolling hills in the Loomis, Penryn and Newcastle area were once vast peach, plum and pear orchards. Newcastle was where the fruit was packed and loaded onto trains for shipment across the country. The advent of refrigerated rail cars revolutionized the transportation of food, and Newcastle became even busier. A blight in the 1940s and ‘50s and new competition changed all of that. Today, mandarins have taken over as the area’s main crop, although vestiges of old orchards and surviving trees still dot the hills. 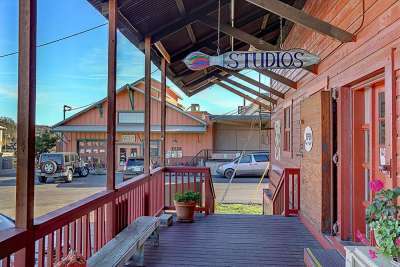 Now the historic fruit packing sheds have been turned into artists’ studios, eateries and gift shops. The famed Newcastle Produce and deli is a favorite stop.